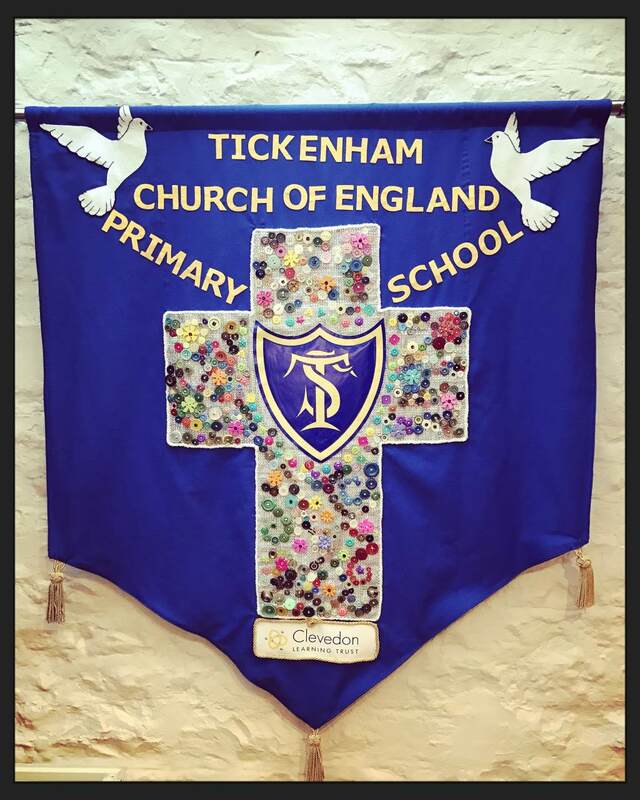 On behalf of the staff and governors at Tickenham Church of England Primary School, I would like to warmly welcome you to our website, whether you are an ex isting parent seeking the latest information or a prospective parent choosing a school for your child. Since 1851, our beautiful school has stood proud at the heart of a thriving local community, situated in the linear village of Tickenham. If you are not familiar with the situation, our school gazes across open fields, reens and miles of farmland with an uninterrupted view. We are nestled beneath the steep incline of Cadbury Camp, a historic Iron Age settlement, and maintained woodland, used on a weekly basis as part of our Forest School Sessions. Our school has a strong Christian Ethos, which is closely linked with our local parish and church, St Quiricus and Julietta. We have designed our curriculum and vision based upon twelve Christian Values, which are very apparent in everyday school life and form the foundations for our creative curriculum: trust, friendship, honesty, compassion, empathy, respect, koinonia, forgiveness, happiness, kindness, hope and thankfulness. We serve equally those who are of the Christian faith, those of other faiths and those with no faith. We are often described as a family, because everyone really does know everyone and feels very safe and valued within our school community. To complement our Christian Values, we also have Learning Gems. All pupils are totally familiar with these and they contribute to their holistic, values-based, education. Our goal is for all pupils to be educated, whilst understanding the importance of learning and constantly reflecting on themselves as learners; we aspire for all children to have growth mindset in realising they can achieve anything if they possess determination, perseverance and a positive attitude. Despite sitting amongst such rich heritage and history, in a quintessentially rural, British locality, we work alongside the Clevedon Learning Trust to inspire our pupils through innovation and forward-thinking teaching philosophies. We have designed a creative learning environment that is conducive to high standards of teaching and learning. Our small school is an incredibly special place and we are always willing to share it with prospective parents and visitors. We are proud of what we do at Tickenham and confident in our approach. Whilst looking through our website is informative and will give you a glimpse of school life, nothing will be more insightful than a visit, which can be arranged through the School Office. We deliver a broad and balanced 'Discovery Curriculum' which meets the needs, attitudes and interests of the children, whilst offering fun and exciting learning experiences. We have designed our curriculum around exciting, motivating themes and learning opportunities that provide challenge. Our teachers are passionate about learning, and having gained a full understanding of every child's strengths and areas for development, are able to use effective strategies to support and develop pupils as individuals. At Tickenham, we understand that it is not solely academic achievements that develop a child. Outside of the classroom we offer a range of activities to encourage pupils to build upon existing talents or to try out something new. Tickenham Church of England Primary School is part of the Clevedon Learning Trust; a Multi Academy Trust formed on 1st January 2015. The Trust is made up from school clusters in the Clevedon and Bridgwater localities.